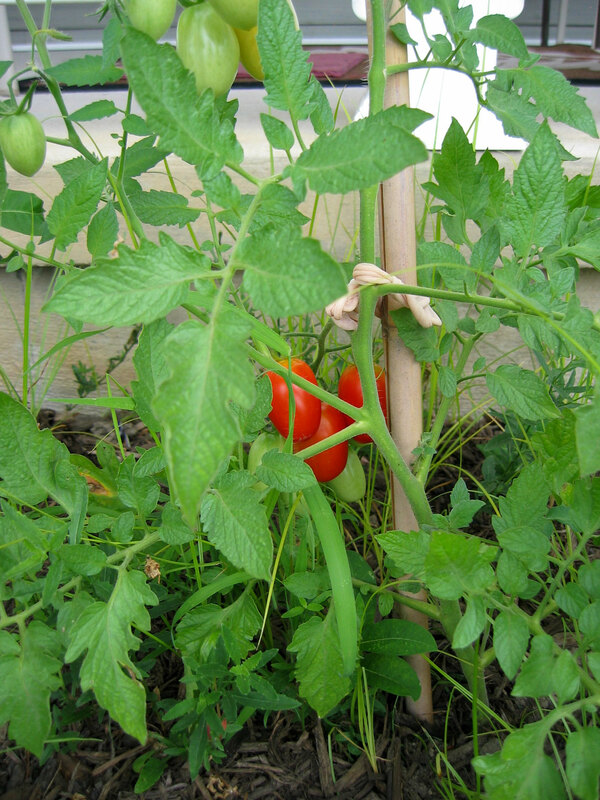 I used to plant my tomato plants in the back of the house. The problem was that it didn’t get the direct sun for part of the day. And deer or other critters would get into them. This year I planted them in the front flower beds. They do flower, right? I have a variety of five different plants maturing at different times. 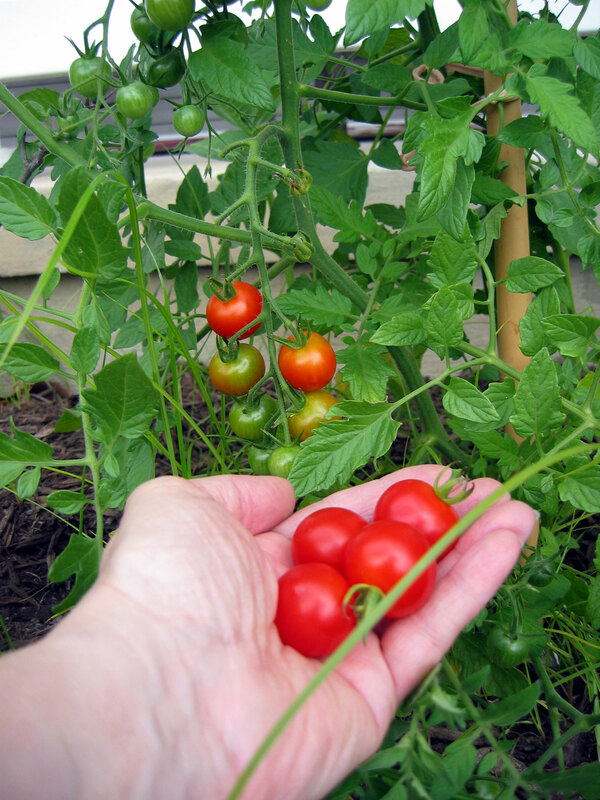 I picked these four little grape tomatoes today but there will be more later. Here’s some Roma. Looks like they will be ready soon. Yes, I know I need to pull some of the grass and weeds out of there. 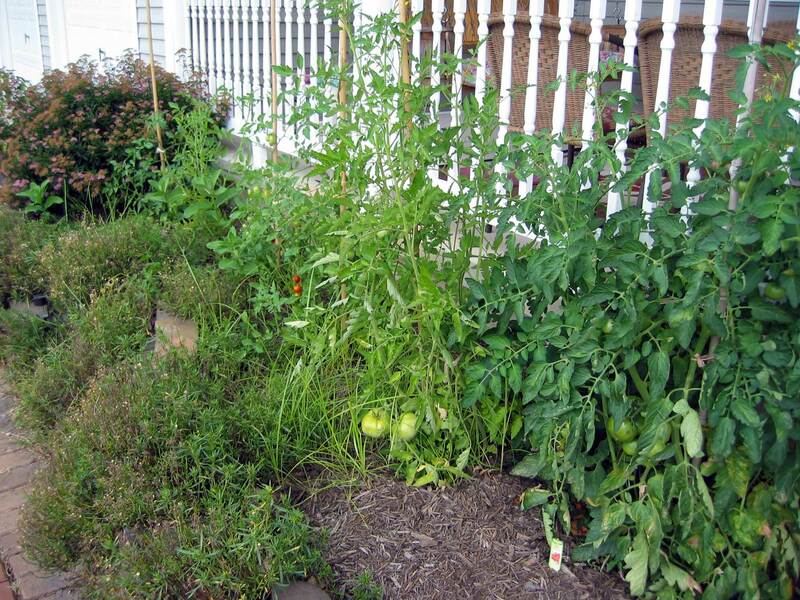 This entry was posted in garden and tagged garden, tomato plants by Patti_is_knittinginflashes. Bookmark the permalink. I don’t know one tomato from another. I suppose they all taste different. Do you have a favorite. 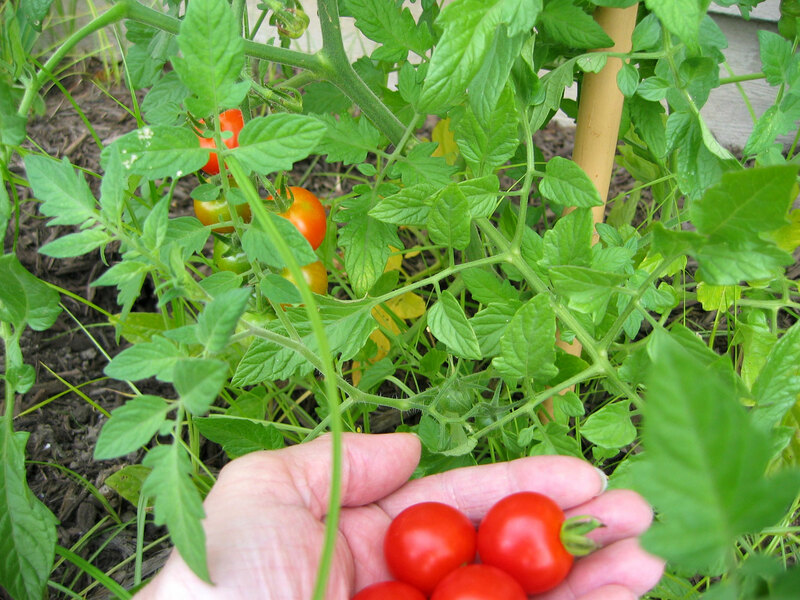 The little grape tomatoes are the first of the season. We’ll have them on our salad tonight. I’ll have to let you know how the others taste once they ripen up. The tomatoes look great. Mine, too, are out front but in pots. No one but me is going to eat them!! weeds and grass eventually flower also !